Gooding has also been able to see the business and communication side of Bauer and Gooding Show Horses as their manager. He works with their social media outlets, advertising and marketing. Kimes Ranch Jeans appeals to all ages and this twenty-five year old is one to vouch for that. Gooding heard from fellow KR endorsee, Robin Frid, about how great the jeans were and he had to find out for himself. 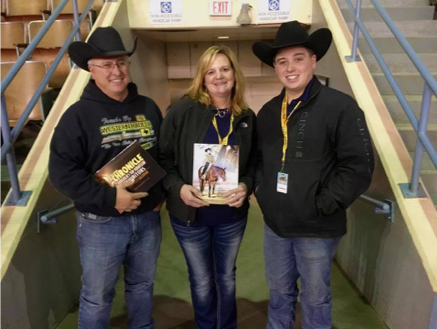 Gooding has been showing horses since he was a youth and has had many wins in the show pen. His greatest accomplishment, in his mind, was his win at the 2013 NSBA World Show in the 3 YO Western Pleasure with Aint Gota Lot. It was his first year as a trainer after giving up his amateur card, which made it even more special. He isn’t sure if he will become an independent trainer in the near future, but he knows for sure he will always stick with the equine industry.